How Do Our Ancestor’s Actions Affect Us? I was a young teen when one of the most watched mini-series hit television and for my younger readers, there is no way to explain the phenomena that was Alex Haley’s “Roots: The Saga of an American Family”. America was glued nightly to the story of young Kunta Kinte as he began his pilgrimage as a slave and the generations to follow who passed down his story to future great grandchildren. The interest into genealogy exploded. My father even traveled across the country, visiting elderly relatives, touring city halls and a cemetery or two to investigate where our family came from. Other cousins banded together, sharing copies of photos and records and making books detailing our past. 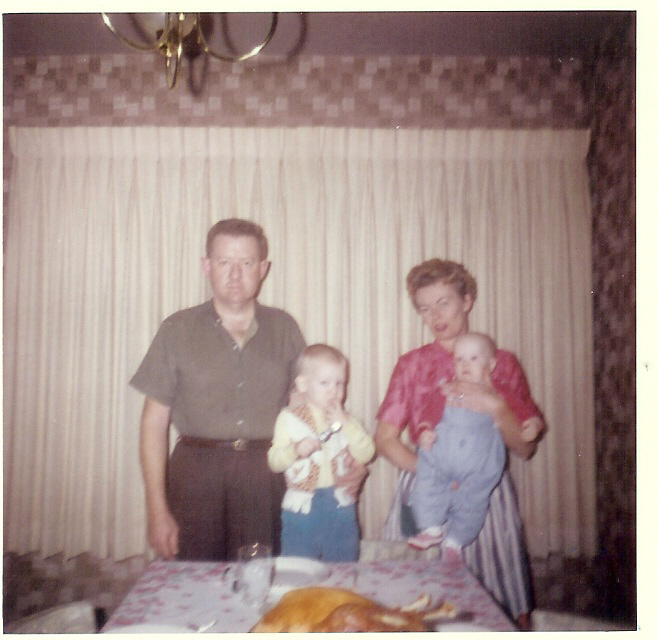 Family members on both my maternal and paternal sides are traced back about as far as they can go. The Coffee Guy’s side is different. The past couple of weeks we have been enjoying watching a new show on Friday nights titled “Who Do You Think You Are?” We thought we would check out the first part and then have found ourselves glued to the stories peoples lives. We watched them learn things about their family that some never would have guessed they could be connected to. There are stories of horror and of hope but all ending in relationship. Last week, at the end of the show, the Coffee Guy turns to me and says “I really wish I knew more about my family”. I grabbed my nearby laptop, signed on to a genealogy website and began the search. After going nowhere fast, we headed upstairs where I kept the funeral books for both his Mom and Dad. We searched for clues to lead us to a starting point and began journey to find out more about the family we never knew. CG was born into a family that had already experienced divorce. It was the late 1950s and it just wasn’t acceptable. After his losing his father at the age of six, his mother married three times and divorced three times. Like so many families, there were secrets that damaged and destroyed relationships. We have a couple of letters and cards that were sent the week my mother in law passed away, little before and nothing after that. All ties to family were lost, until this week. We knew we have connections on his mother’s side in Texas and his father’s side in Virgina. Now we have names and we hope to start making connections. We’ll see how that goes. So here we are, on a new path, searching for connections, relationships and possibly answers. We may even find some closure to a painful past that will bring healing to our own hearts. Lessons from our ancestors about forgiveness and moving on. Ask yourself, are you actions keeping your family together or tearing them apart? What kind of legacy are you creating for those you love?